by George Traub, S.J., and Debra Mooney, Ph.D.
Iñigo Lopez de Oñaz y Loyola, whom we know as St. Ignatius, was born in the Castle Loyola, in the Basque country of northeastern Spain, in 1491, during the reign of King Ferdinand and Queen Isabella. Iñigo was the youngest of 13 children, raised in a family culture of high Catholic piety but lax morals. He experienced the contradictions between the ideals of church and crown and the realities of his own family. His father had several children by another woman, and his grandfather's lawless behavior led to the top two floors of the Loyola castle being demolished by order of the crown. Iñigo hardly knew his mother, Marina Saenz de Licona y Balda Maria; she died when he was a child. His father, Don Beltrán Yañez de Oñaz y Loyola, died when he was 16. One of his brothers went on the second voyage of Columbus and another died in battle also far away. Iñigo was raised to be a courtier and diplomat in service to the crown, having received a chivalric yet academically sparse education typical of his class. He spent some time as a page at court. Winning personal glory was his passion. He was a fancy dresser, an expert dancer, a womanizer, sensitive to insult, and a rough punkish swordsman who used his privileged status to escape prosecution for violent crimes committed with his priest brother at carnival time. In the spring of 1521, a very large French army attacked the fortress town of Pamplona. A tiny band of Spanish soldiers trying to defend the town were ready to surrender; all of them except Iñigo de Loyola. He would hold off the French single-handedly. But a French cannonball shattered his leg and put an end to his stand. The French admired the courage of the man. They carried him on a litter back home to his castle of Loyola. His leg was not the only thing that had been shattered. His image of himself as a handsome, dashing courtier - everything that he had ever lived for - was shattered, too. The broken leg was not properly set. The bone protruded in a way that would show through the tight hose that a courtier wore, "so much as to be something ugly." Iñigo insisted on having the leg re-broken and re-set; there was, of course, no anesthetic. In the end one leg was still shorter than the other; Iñigo limped the rest of his life. To pass the time while he recovered, he asked for the kind of books he enjoyed reading: romances of chivalry. But the only reading available in the house was an illustrated Life of Christ and a book of saints' legends. He spent hours dreaming. He dreamt of the exploits he would do in service to his king and in honor of the royal lady he was in love with. But he would also dream about the exploits he could do to imitate St. Francis of Assisi and St. Dominic in fidelity to his heavenly Lord. Gradually, he began to reflect on these experiences; he noticed what was going on within. Both kinds of daydreams engaged him completely, but after the romantic chivalry dreaming was over, he felt empty and dissatisfied, whereas after the spiritual dreaming ended, he still felt a deep peace, a quiet happiness. "[H]e did not consider nor did he stop to examine this difference until one day his eyes were partially opened and he began to wonder at this difference and to reflect upon it. From experience he knew that some thoughts left him sad while others made him happy, and little by little he came to perceive the different spirits that were moving him..."
Here we see the beginning of his powers of discernment, of decision making. He realized God was leading him by his feelings, drawing him toward an entirely new way of life. As soon as Iñigo had healed enough to walk, he began a journey to Jerusalem so that he could "kiss the earth where our Lord had walked." He traveled through the town of Montserrat, Spain where he gave away his fine clothes to a poor man. Then, in an all-night vigil before the Black Madonna in the church of the Benedictine abbey there, he hung up his sword and dagger. Effectively, his old life was over and his new life had begun. Barcelona was the port from which to embark on a passage to Rome and then to the Holy Land. Not wanting to see his old friends, who might be in conflict with his new values, he went instead to the nearby town of Manresa with the intention of staying there a few days. But those "few days" turned into ten months. The "Pilgrim," as he referred to himself in his autobiography, asked for lodging at a hospital for the poor located outside the town's walls. In exchange for his bed, he did chores around the hospital; and he begged for his food in the town. As we see him here, he spent much of his time in a cave, in prayer with God-praying as much as seven hours a day. He was blessed with powerful insights into himself and about who God was for him. Still, for extended periods, he experienced doubts, anxieties, scruples, severe depression; he even contemplated suicide to end his psychic pain. He recorded his experiences in a notebook and would soon find his jottings helpful in guiding others. These notes which he continued to revise and expand over time as he listened to people became his Spiritual Exercises. Eventually, they were published and then reprinted again and again and translated into many languages as they spread around the world. An example of a spiritual exercise might be to reflect on the ways you have been loved, or on what your personal gifts are and how you use them and for whom, or to imagine yourself present in one of the gospel scenes-for example, Jesus' feeding of the 5,000. Today, nearly 500 years later, Jesuits and other priests and sisters and brothers, and an ever larger number of professional men and women use these Spiritual Exercises to guide others toward spiritual transformation, to a deeper relationship with God. The Pilgrim did manage to beg passage on a ship to the Holy Land. But instead of being able to fulfill his great dream to remain there for the rest of his life, trying to convert the so-called "infidel," he was told by church authorities to return to Europe after only a few weeks. They had enough trouble there without him and his conversion scheme. Another dream of Iñigo shattered. 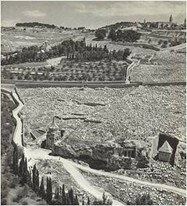 When it came time for him to set sail and head back to the western Mediterranean, he ran back to the Mount of Olives to see which way the "footprint of Jesus" was facing. Pious legend had it that the mark in a certain rock there was left by Jesus as he ascended into heaven. Now what may interest us here is not the historical credibility of the legend, but rather what this action of the Pilgrim tells us about his own inner life, his imaginative life. He was in the habit of entering imaginatively into all the various gospel stories and scenes, and, in this way, he made them very concrete and real and immediate to himself. He wanted to be in an intimate relationship with Jesus, and every detail about Jesus was precious to him. Although Iñigo was unable to preach and serve God in the Holy Land as he had hoped, he was still determined to meet this goal in some fashion. He decided that he needed to get an education in order to "help souls." He returned to Barcelona and attended a free public grammar school to prepare himself for entrance into a university. This meant that beginning at the age of 33 and for two years, he was studying Latin grammar and other basics with classmates who were 8 to 14 years old. He may have felt some discomfort at the age difference, but it was at this time that he had the "most beloved" teacher in his entire academic career-Master Jeronimo Ardevol. After this initial schooling in Barcelona, Iñigo moved to Spanish university towns-first Alcala, near Madrid, and then Salamanca in the north. In both places, he spent nearly as much time engaging people in conversation about spiritual matters as he did studying and attending lectures. Such conversations got him into trouble with the Spanish Inquisition and he was put in prison three times for interrogation. The charge was always the same: that he dared to speak of theological matters when he did not have a theology degree. Further, he was not ordained. In the end, he was always exonerated, but he decided to avoid further harassment by the Inquisition. He left his homeland and headed north to the premier university of sixteenth-century Europe. 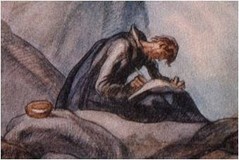 At the age of 38, the Pilgrim attended the College Ste. Barbe of the University of Paris, considered the heart of the French Renaissance. He knew little French and he was not very fluent or correct in Latin. Still he made progress, little by little. In those days, students rose at 4:00 a.m.; classes-lectures-began at 5:00 am. There were also classes for several hours in the later afternoon. The university curriculum-in the Parisian style-was much more orderly than he was used to in Spain. There was progression; there were prerequisites. As a result, he started all over again with grammar, language and the humanities, and only then moved on to the sciences, philosophy and theology. The present-day notion of levels or classes--freshman, sophomore, junior, senior-- is a Jesuit legacy to education based on the experience with this Parisian style of learning. Eventually, he earned a master's degree. The name on his diploma was not Iñigo, but "Ignatius," which he adopted in Paris and used for the rest of his life. (It is speculated that he named himself after a saint he admired - Ignatius of Antioch.) When he applied for doctoral studies, he was turned down as too old; he was 44, and too ill, from stomach ailments that he attributed to the extreme penances he practiced during his time in Manresa. 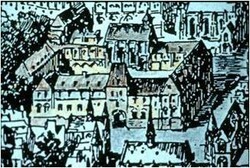 While at the University of Paris, Ignatius roomed with Peter Faber, a young man from Savoy in the south of France, and Francis Xavier, a nobleman from the eastern end of the Basque country. Gradually a whole circle of "Friends in the Lord," as they called themselves, formed around Ignatius. What bonded them closely together was the fact that one after another they were led through the Spiritual Exercises. 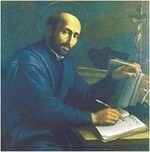 Most were guided by Ignatius himself. 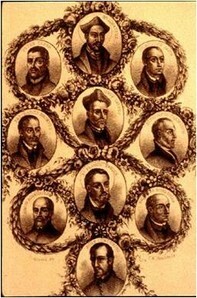 In a deep sense, they all became "companions of Jesus" and companions of one another. Ignatius also shared with them his dream of going on mission to the Holy Land; yet this time he was a bit wiser and more practical. If the Holy Land dream fell through, they would go to Rome and put themselves at the disposition of the pope. The pope, as universal pastor, should know where the greatest needs were. They waited in Venice a whole year for a ship to take them to the Holy Land. As Providence would have it, just that one year, because of war between Venice and the Turks, no ship sailed. So they went to Rome, and there they entered into an extended period of communal discernment. They were about to be sent all over Europe and all over the world. Spread out like that, how would they secure the bond among them? Their decision was to form themselves into a religious order. They called it the Company (meaning the companionship) or Society of Jesus. Outsiders disparagingly nicknamed them the "Jesuits" but the name caught-on and eventually was used by all alike. The Society of Jesus was approved by Pope Paul III in 1540 and thus became an official Catholic religious order. Ignatius was elected their first leader. He declined after the first vote. He felt unworthy for the position because of the vanity and licentiousness of his earlier life and because he felt that others were more theologically knowledgeable. After much discernment, he accepted the position and served until his death sixteen years later. As the Superior General, he sent companions all over Europe and around the world. He called them to "hurry to any part of the world where...the needs of the neighbor should summon them." And he counseled them to serve "without hard words or contempt for people's errors." 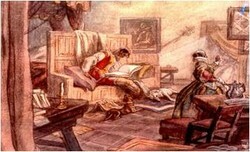 In addition to writing the Constitutions of the fledgling order, with the help of his assistant Juan Polanco, he wrote nearly 7,000 letters. He wrote to high and low in church and state and to women as well as men. But most of these letters were to his Jesuit companions, thus forming a vast communication network of friendship, love, and care. At the time of his death, there were 1,000 Jesuits, a good number of them involved in the 35 schools that had been founded. Twenty-five years later the number of schools rose to 144, and another 35 years after that, it approached 400. In contrast to the ambitions of his early days, the fundamental philosophy of the mature Ignatius was that we ought to desire and choose only that which is more conducive to the end for which we are created - to praise, reverence, and serve God through serving other human beings. The great 20th-century British historian Dom David Knowles summed up his sense of the early Jesuits in these words: "That mighty impulse from Manresa which spread over Europe and to the ends of the earth-perhaps the greatest single religious impulse [in Christianity] since the preaching of the apostles." The illustrations in this essay are taken from the slide collection of Fr. Richard Blinn, SJ, "The World of Ignatius Loyola." Quotations are taken from A Pilgrim's Journey: The Autobiography of Ignatius of Loyola, translated by Joseph N. Tylenda (Collegeville, MN: Liturgical Press, 1991).